According to a spokesperson with the Edgefield County Sheriff’s Office, there will be no charges filed in the alleged attack that occurred to a horse on Aug. 27th at the hands of a farrier. The initial report of the attack alleged that a farrier from Georgia had beaten a horse and injured his hooves while attempting to shoe the equine. However, the ECSO spokesperson said there was no evidence to back up this claim. Citing two sets of photographs, one from the ECSO deputy who responded to the call and the other from the horse’s owner, the spokesperson said no evidence could be detected that reflected injuries to the horse. The spokesperson further said the veterinarian report also did not reflect on anything the farrier was accused of doing to the horse. 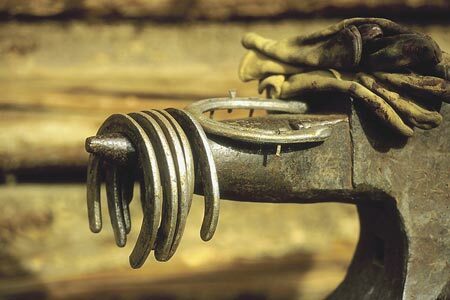 The Advertiser tried to speak with the accused farrier in this case when we published our first report on this incident, although, as we later learned, the farrier had been legally advised not to speak with anyone on the matter. However, The Advertiser was able to speak with the farrier Friday afternoon, Sept. 6. He told us he did not wish to officially comment due to the age of the complainant in this case – a nineteen year old – calling the whole affair “unfortunate” and adding he wanted to leave it in the past. He denied the allegations against him. Jenny Jones, mother of the girl who filed the report, told The Advertiser, Monday, Sept. 9, that she “understood from a legal standpoint” why charges were not being filed and added the issue “needs to just go away.” “I’m just glad my horse is gonna be fine,” she said.